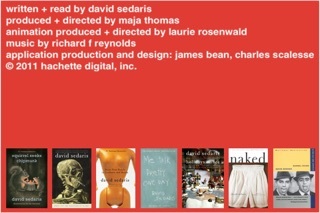 Love David Sedaris, he is absolutely one of my favorite writers. 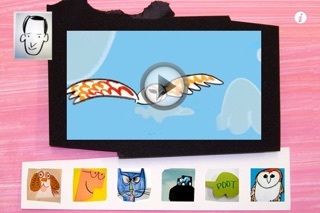 This app consists of a few very short animated stories. While I enjoyed them, I ended up deleting the app after a day or two when I realized it didn't change...like ever. And I needed space for more pictures. If it was updated I'd definitely keep it though. Love, but I wish this was updated!! 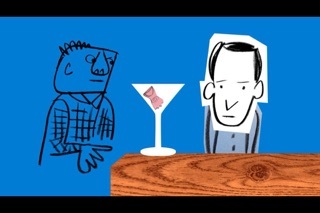 I LOVE David Sedaris, and loved these animated shorts of parts of his larger stories. I just wish that this was updated. You can go to David's Facebook page and see the same clips that are on this app, and probably others. The app is free, so no loss. I watched the clips, then after a year without updates, I deleted off of my phone. I just reinstalled to see if anything was added, since David Sedaris' Facebook page redirected me here. No change since 2011, so I re-watched the clips and deleted the this app - again! 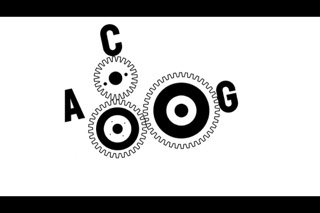 Well worth the price for the hilarious snippets and animations. Got it just after finishing "Let's Explore Diabetes with Owls" and it was a great addition to some of the stories in the book. Even without background information will get you laughing. 5 minutes worth of content. I agree with the previous reviewers. No mention of new episodes...why waste space waiting. Yes they were somewhat entertaining, true. But really, not worth the money. I bet it will renew once a year if we are lucky. I can hear David LOL'ing every time a sucker like me spend money on this app. 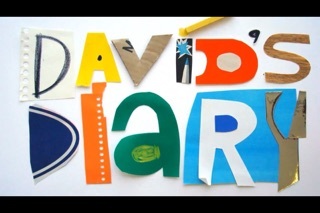 To hear David Sedaris read six diary entries, none of which is longer than 30 seconds or so, accompanied by music and cute but primitive animations I paid money? I hate feeling tricked and I hope that David himself isn't tricked into doing this again. Do NOT buy this. I love David Sedaris and bought it without reading reviews simply because I saw it mentioned on the dust flap (yes, I bought a physical book) of Let's Explore Diabetes... I have no idea what anyone was thinking but to grab your money for something that is worthless. Buyer beware. Sure, it's only .99 cents. But I still feel ripped off.